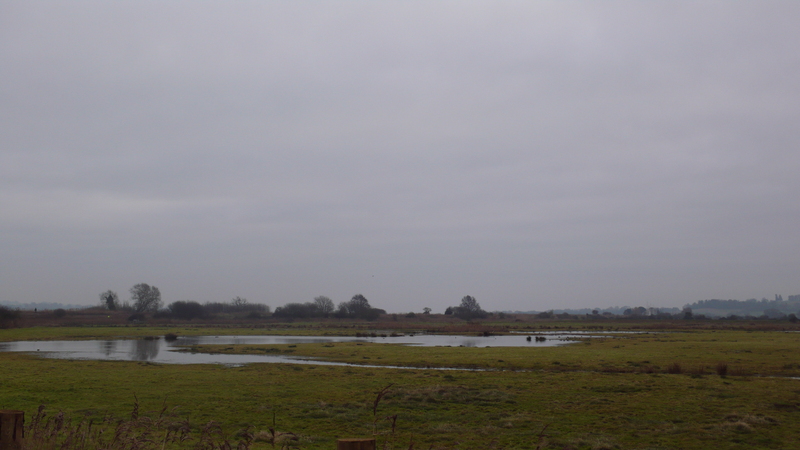 Lured by reports of Bitterns and Harriers, yesterday saw us at Exminster Marshes. Having asked Caroline to park a little closer to the edge, I got out of the passenger door, took a couple of paces backwards and one leg went into the ditch up to my thigh. What I had thought was firm ground was in fact dead reeds over nothing. And I had to clutch at a bank of stinging nettles to haul myself back up. It was not a very auspicious start: and I squelched around for the next hour. It wasn’t that I was cold (I was) but felt such a plonk (plus was quite shaken). And the birding? Well, no Bitterns, and the Harriers, one Marsh and one Hen, had been sighted but had dropped down, out of sight, about 30 minutes before we arrived. But a Kingfisher, wildfowl everywhere, and the lady Smew preening on the canal. Not a bad trip at all.